How would you like to give a gift that keeps on giving, in more ways than one? Subscription boxes (like those listed below) not only give a monthly gift box to the recipient, but also give back via charitable donations, fair trade policies and more! Here are five of my favorites. Easily the best known of the five listed, CAUSEBOX is a quarterly subscription that features ethically-sourced artisanal selections from brands committed to doing good all over the world. The majority of these donate a percentage of profits to charity, or make a special effort to empower underprivileged communities. Not ready to subscribe? Purchase the ”‘Best Of’ Box” to enjoy a collection of the CAUSEBOX team’s favorite products from past shipments. Vegan subscription box, Love Goodly, sends an eclectic mix of beauty, wellness and lifestyle items every other month. All their products are vegan, eco-friendly, cruelty-free, sustainability-conscious and non-toxic, so you can rest easy knowing you’re receiving only the best! In addition to sourcing top-notch products, Love Goodly also supports a new cause every month. Past causes include: Farm Sanctuary, Cure Cervical Cancer and the Beagle Freedom Project. Learn more here. 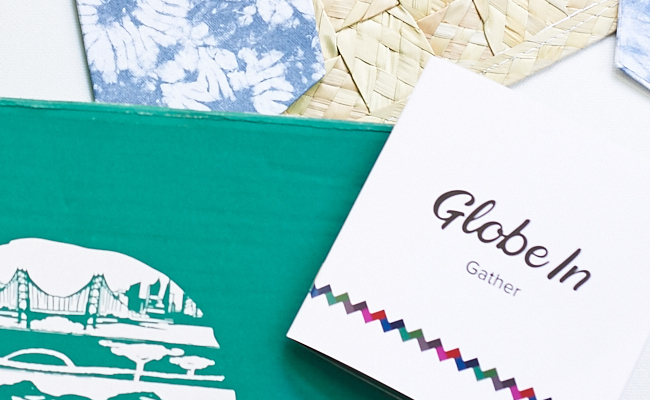 GlobeIn “delivers joy by empowering and connecting remarkable, remote artisans to mindful consumers.” Committed to telling a unique story with each shipment, GlobeIn’s themed Artisan Boxes include handcrafted items made by partner artists from around the world. Some examples of what you might expect in your Artisan Box include Mexican woven baskets (reusable!) or Ghanaian coasters, each uniquely handcrafted just for you. PupJoy boxes are full of goodies for your pup, including artisan-quality toys, limited-ingredient treats and natural chews. Does your dog have allergies? Love to chew? Each item is personalized to your pet, so you can be sure they’ll be wagging their tails in no time. In partnership with the BISSELL Pet Foundation, your purchase helps support animal rescue, fund adoptions, spay/neuter operations, micro-chipping and foster care programs. Plus you get $20 for referring a friend! When you sign up for a Brothers Coffee subscription, you’ll receive freshly-roasted coffee from a new gourmet roaster each month — each committed to making the world a better place. On top of that, one dollar from each subscription is donated to Grounds for Health, an organization that screens for and treats cervical cancer in the United States. Plus, with three subscription options, three roast option and free domestic shipping, there’s no question that this coffee club is the perfect way to sate your craving and give back at the same time. None of these strike your fancy? I encourage you to check out Love With Food, Indigo Beaux, The Wordy Traveler, Anchor of Hope, Dancing Happy Dragonfly, Benevolent Beauty, Foot Steps by Your City Sports, Fair Trade Friday, Green Kid Crafts, Kites & Ivy, Natural Herbal Living and UrthBox. Post photo courtesy of GlobeIn.